Yes, and in any size and style, or combination. How long does it take to make a handwoven jacket? What fibers/yarns do you use? Natural fibers whenever possible. Currently, I use rayon boucles and chenilles, cottons, silks, and ribbons. 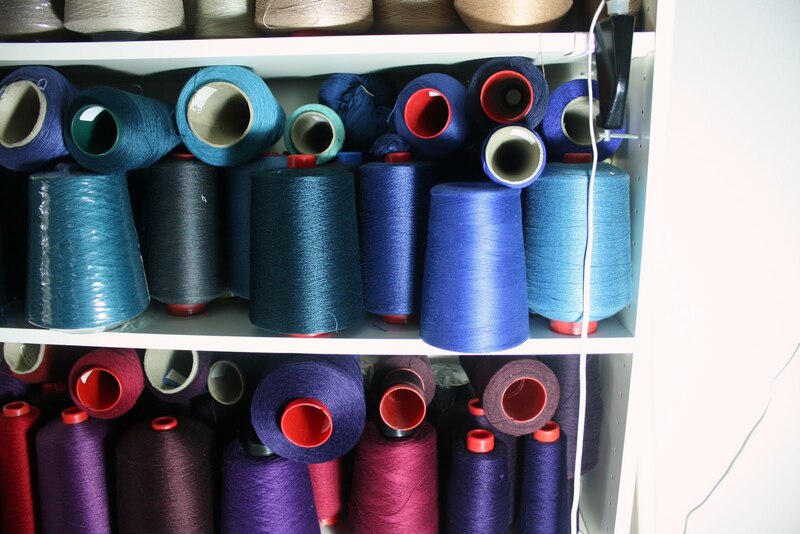 Each piece is made up of a combination of these fibers. 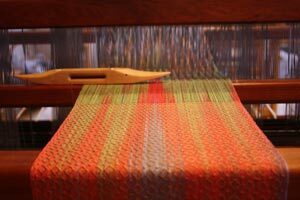 I began weaving in 1970. Most photographs were taken by John Cooper. His website is www.johnfcooper.com. For prices on scarves, bags, and handwoven pieces, contact me via email at: kathy@hutchinsonhandwoven.com, and I will be happy to answer your questions. 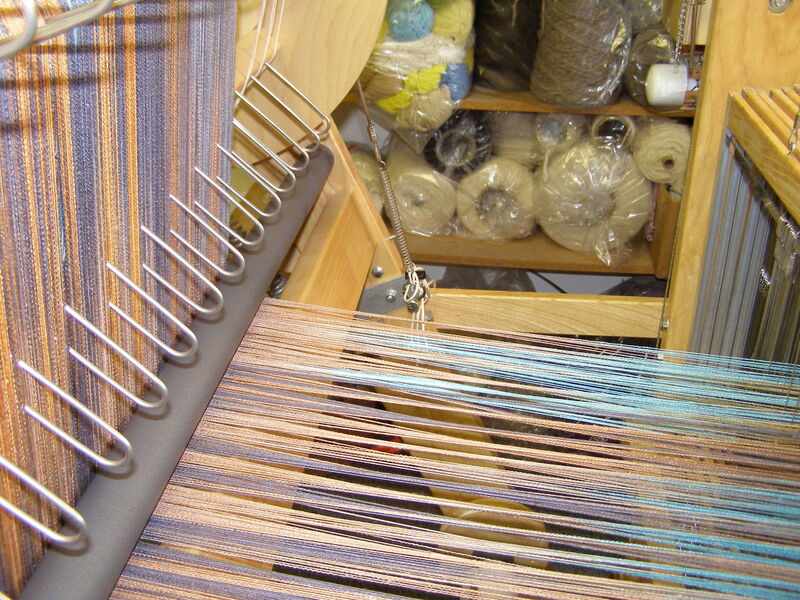 The fabrics for my jackets, silk shawls, and larger items are woven on sixteen-harness dobby looms (http://www.avlusa.com). The scarves and smaller items are woven on four-harness and eight-harness Norwood jack looms (http://www.randalldarwall.com). I am available for classes, workshops, and speaking engagements. Studio visits are by appointment only or you can visit during the annual Camano Island Studio Tour, which is held on Mother’s Day and the following weekends. What is distinctive about your work? My work is noted for the the texture, color, and gauge of the yarns I use. These are carefully selected with the finished piece in mind. I use a computer program to design some original woven structures (overall patterns) for my fabrics. I design the cut/pattern and shape of my garments to present classic lines, and flatter the wearer. Do you sell wholesale or consign your work?